In regions with poor LTE reception, if you wanted to use LTE as a DSL replacement, you had to rely on a combination of an LTE router and an external mobile antenna. The Chinese network specialist Huawei now offers the new LTE outdoor CPE B2338, an interesting combination of LTE modem, external antenna and router unit, which promises significantly better performance in poorly served regions. Technically, there is a strong similarity to the recently introduced on Huawei B2368, but the B2338 has a directional antenna instead of an Omni-directional antenna. 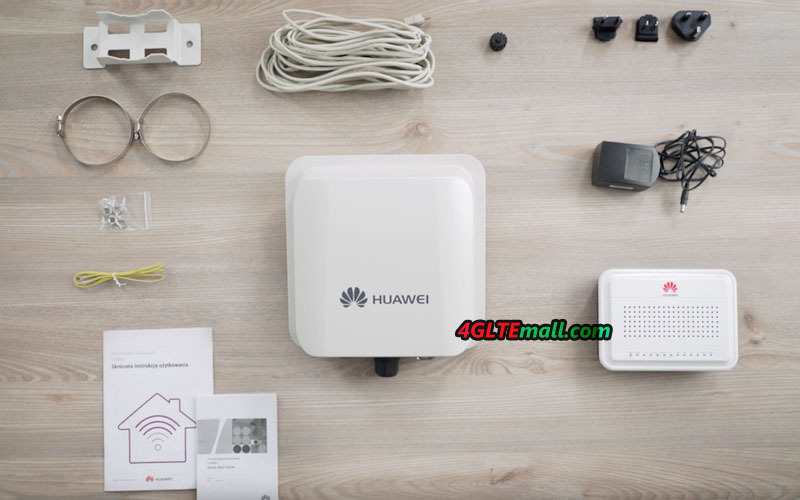 The Huawei B2338 consists of two parts: there is an outdoor mobile phone antenna with integrated LTE modem and a router unit with wireless and external device connections. The mobile antenna is mounted outside of the building and should ideally be aligned directly with the cell towers. Wind and weather can not affect the technology if installed correctly. 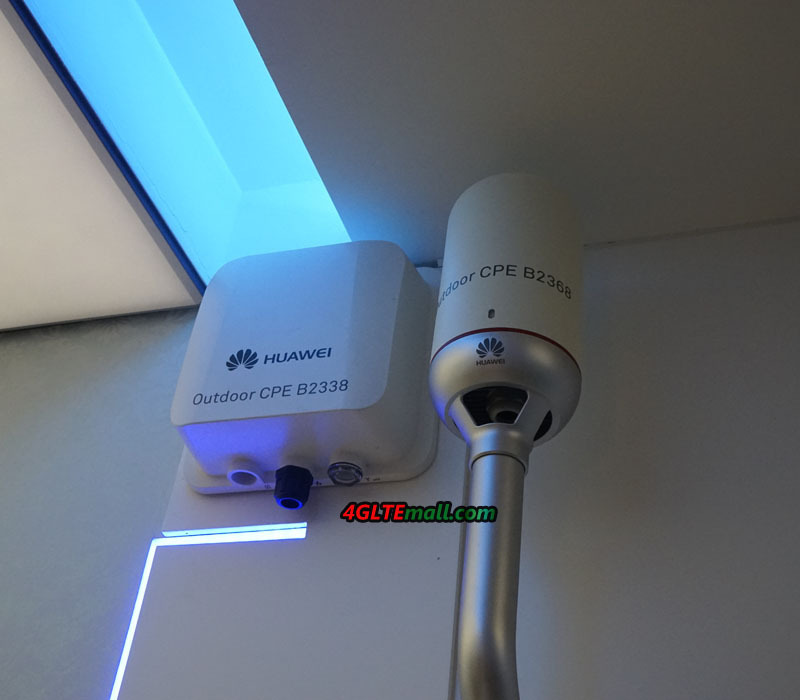 The Huawei B2338 CPE supports LTE Cat12 in the downlink and LTE Cat13 in the uplink, ie depending on the network up to 600 MBit/s in the download and up to 150 MBit/s in the uplink can be achieved. In addition, the outdoor LTE CPE supports not only FDD LTE, but also TDD LTE and can use up to 4 × 4 MIMO antenna technology, depending on the operating mode. Various LTE frequency bands are supported, including the bands B1, B3, B7 and B20, which are common in Europe and Aisa. The advantage of the modem is the integrated directional antenna, which can not cause losses due to an antenna cable that is too long. The gain of the antenna is at 9 dBi in the 3.5 GHz range according to Huawei. The power supply and the connection to the router unit are via RJ45 Ethernet LAN cable (Power over Ethernet, PoE). The SIM card is plugged directly into the antenna unit, and you will also find some small LEDs on the bottom, which indicates the operating status. In addition to the modem-antenna combination, the router unit is the second important part of the Huawei B2338. The small box has an integrated WLAN radio module, so ideally it should be positioned in the house where most WLAN users are expected. The WLAN works on 2.4 GHz and 5 GHz and supports the standards 802.11b/g/n/ac. On the back there is a WPS button for fast and secure Wi-Fi encryption. You will also find on the back of the connection for the power supply and a small toggle switch for switching on and off the device. On the front, various LEDs signal the device status. The Huawei B2338 has two RJ45 Gigabit LAN ports for connecting computers and other network devices. A third RJ45 LAN port is equipped with PoE function, so has an integrated power supply. This port is for connection to the modem or external antenna. In addition to two RJ45 Gigabit Ethernet ports, the Huawei B2338 also offers two RJ11 phone ports to which analog telephones or fax machines can be connected. This makes the B2338 Modem Router combination ideal for a remote office or home office. It would be conceivable, for example, the use of the device in a mountain hut or in a national park office, where you cannot get on with ordinary LTE router technology. In general, the B2338 will probably be used more in the business customer area, because the antenna must be professionally mounted outdoors and aligned as well as possible – for most residential customers, this is too complicated without an experienced fitter. 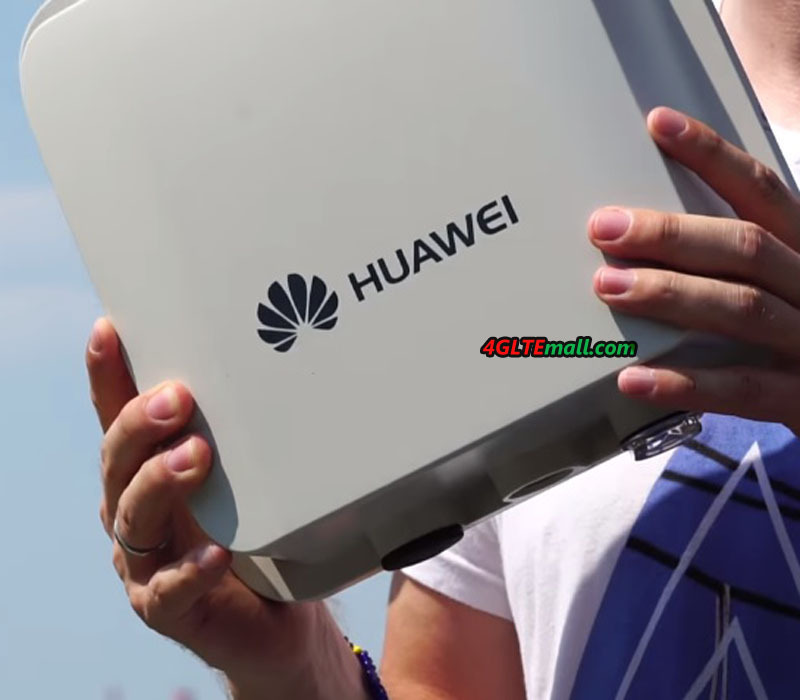 In the market, the Huawei B2338 outdoor LTE CPE is currently not available, the market launch is uncertain. The main sales market, according to Huawei Product Manager in Europe, is mainly the sparsely populated eastern states. For example, T-Mobile in the Czech Republic offers the device. We will keep updating the news about Huawei B2338. If you need similar LTE outdoor CPE, we have the Huawei B2268S LTE CPE now with almost same functions.